Living Sq. Ft. : 1684 s.f. Total Sq. Ft. : 2489 s.f. 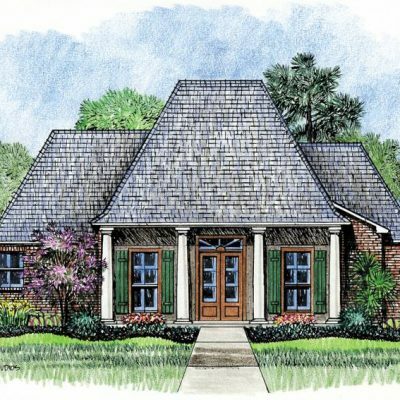 Southern Louisiana Acadian house plans have a distinctive look with columns on a front porch with windows centered in between; Our Augusta house plan fits that profile. 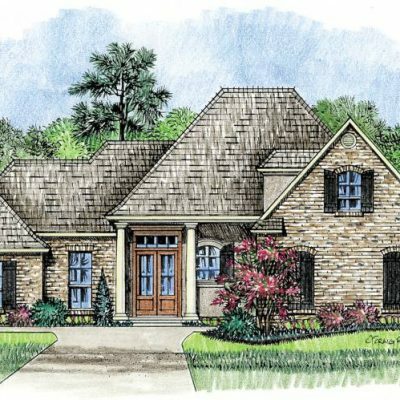 You will find the beautiful front porch with steps leading up to your front door. Stepping into this Acadiana gem, you will be greeted in the family room with a large fireplace and access to your back porch, where you can enjoy the evening breeze. 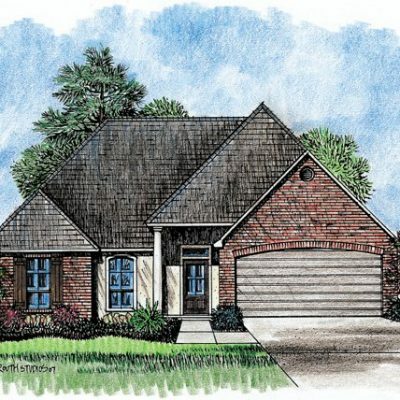 Walking through the family room, you will notice the short hallway that leads to two of the three bedrooms and the 2nd bathroom that has two sinks. Turning right through the family room will lead you to the unique kitchen. The kitchen features a unique angled shape that has three windows and plenty of counter space. 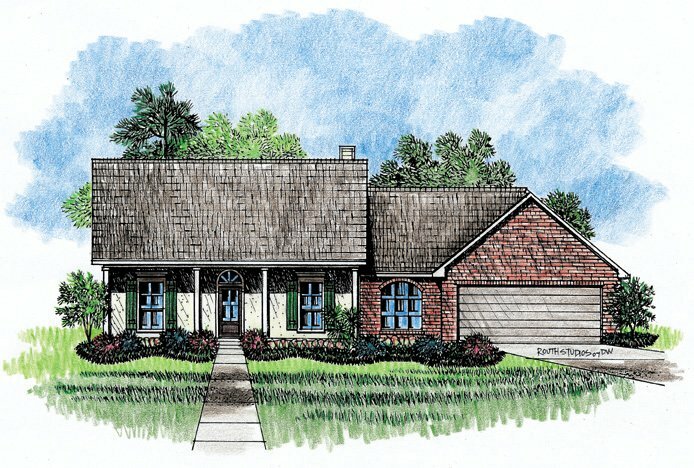 Across from the kitchen is your formal dining room with a large window. 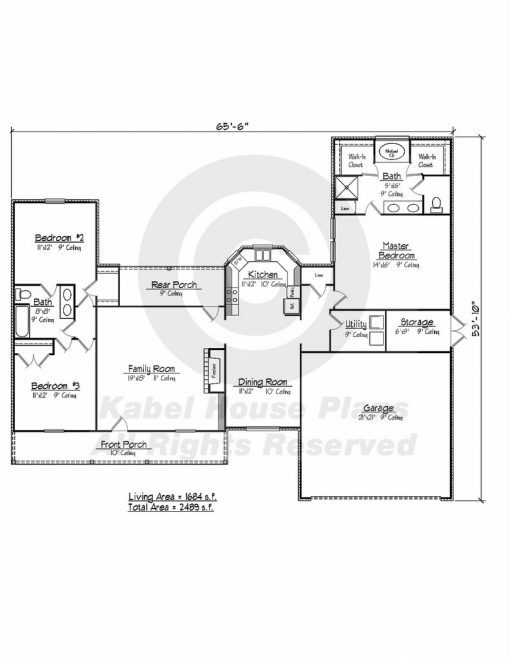 The best feature of this house though is the master suite. You will enjoy the privacy that this master bedroom allows you to have, because it is on the opposite side of the house than the other two. 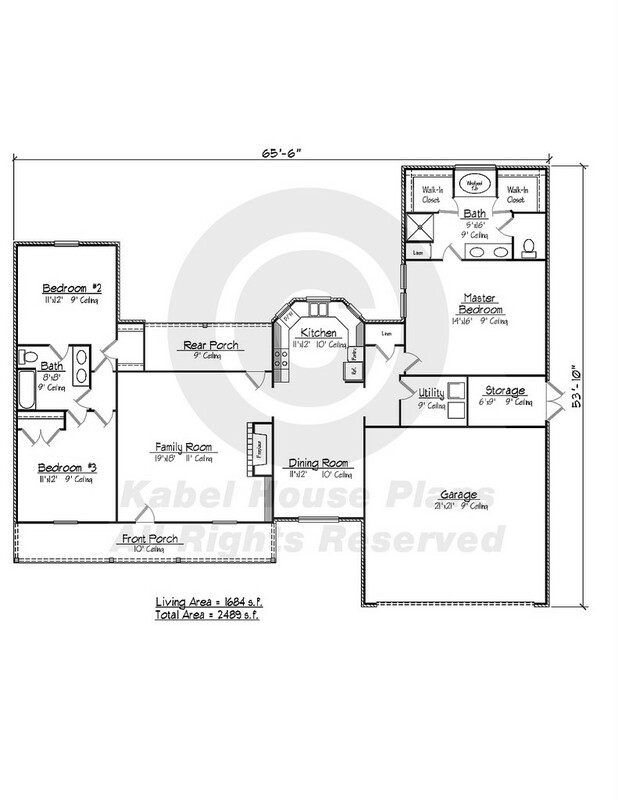 In your master bath you will find a whirlpool tub and two walk in closets. Next door is the Utility/Laundry room for easily washing clothes. 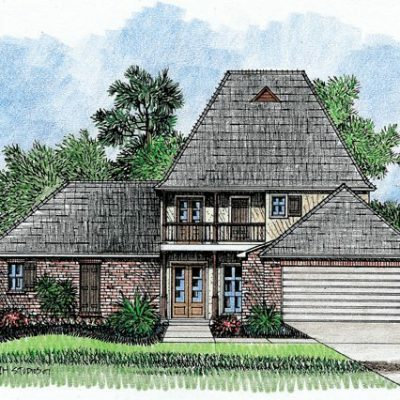 Along with the forward facing garage, this Southern Louisiana Acaidian home is sure to win you over.